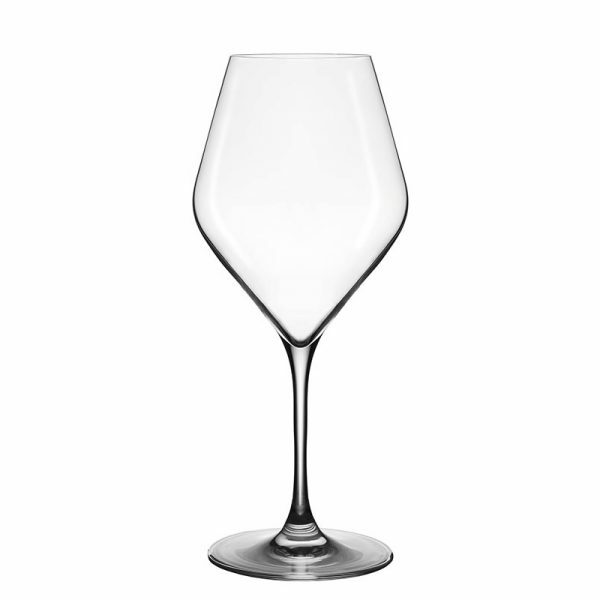 The Absolus 62cl is a versatile glass that it is particularly suitable for complex and well structured red & white wines. Additionally a good option for Cocktails. It is machine blown lead free crystal with a natural gauge at 12 cl. Packed 6 glasses per box. The Absolus range was developed by Lehmann Glass as many of their eminent clients were looking for a new way of tasting Champagne. They wished a glass which was fairly similar to that of a wine glass and yet retains the pointed base which ensures a maximum effervesence. This led to the creation of hybrid glasses with modern curves. The Absolus wine glass can bring out the aromas in any one of your wines, be they sparkling or still.